Whether you're looking for clothing, gifts, toys, furniture and more, or you just enjoy browsing, flea markets, swap meets, thrift stores, and mercados can satisfy your urge to find bargains. You can even make it a family outing, as many flea markets also have concession stands with food as well as entertainment. One of the best swap meets for shoppers and bargain hunters, visitors will find a variety of merchandise at great prices. Open year round. Wednesdays from 4 p.m. to 10 p.m., Fridays from 6 a.m. to 12 p.m. and Saturdays & Sundays from 6 a.m. to 4 p.m. Adults: $2 (Children 11 and under get in free). There is free parking and admission is free on Fridays. The facility can be rented for concerts, festivals or trade shows. Auto Row is where people sell their cars every Wednesday, Saturday and Sunday. Food court, food stands and food trailers throughout the park. Situated inside the Desert Sky Mall, this marketplace offers visitors over 200 small shops and eateries. Shop a wide variety of items from fresh produce to clothing, seafood, general merchandise and more. Monday though Saturday, 10 a.m. to 9 p.m. and Sunday from 11 a.m. to 8 a.m.
No admission charge; free parking. This swap meet is dedicated to donating new, used, working and/or non-working electronics. The event is hosted by the local Boy Scouts of America. Third Sunday of every month from 5:30 a.m. to 10:30 a.m.
A computer and electronics swap meet and recycling event. Many swap meet vendors are from the computer repair industry, and offer a selection of new and refurbished computers and other electronics. 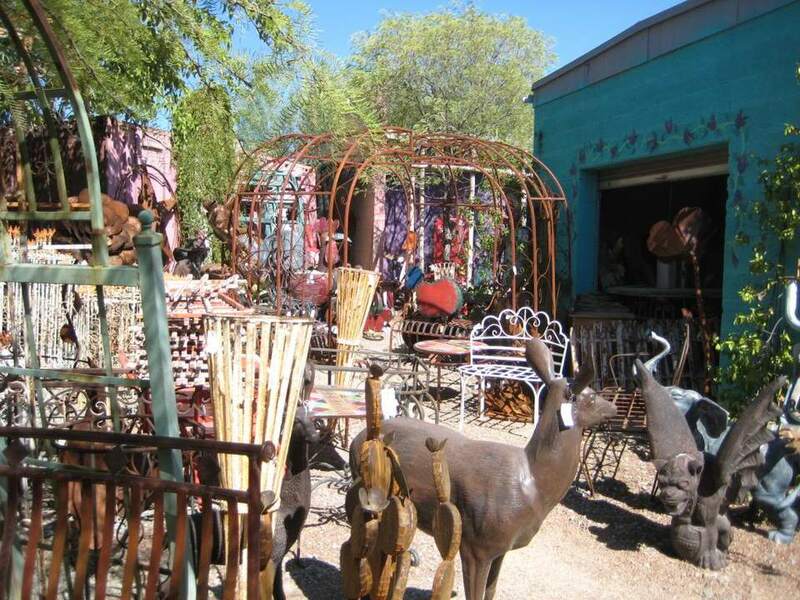 For those who love antiques, vintage finds, hand-made items, art and exotic imports, this market is for you. First Saturday of the month from October through April. From 9 a.m. to 3 p.m.
$3 admission charge (kids 12 and under get in free), free parking. Open throughout the year, this huge market offers hundreds of merchants selling anything you can imagine. Open throughout the year on Fridays, Saturdays and Sundays from 7 a.m. to 3 p.m.
Free admission charge with free parking. Special Events for the community organizations such as the Leukemia Society, Child Crisis Center, Salvation Army, Kiwanis Club, Boy Scouts, Girl Scouts, Junior Achievement. Special or waived booth rates may be available for nonprofit groups. Full of family fun, shoppers can take advantage of savings on fresh food, trinkets, clothing, home goods and more. Open throughout the year on Saturdays and Sundays from 5 a.m. to 3 p.m.
You might also be able to find great deals on second-hand clothing, furniture, home goods, electronics and more at a thrift store. Some of them are associated with non-profit organizations that use the donated items to fund operations. Goodwill of Central Arizona has about 70 stores in the Greater Phoenix area. You can sign up online to receive coupons by email. Goodwill provides employment services in the community. The Salvation Army has six family thrift stores in the Greater Phoenix area. They are involved with local domestic violence shelters, disaster relief, homeless services, senior programs and youth programs. During the winter holidays, they provide free meals to anyone who wants one at both Thanksgiving and Christmas and make sure that children get a gift through the Christmas Angel program. Savers has seven retail outlets in the Phoenix area. The are not a non-profit, but they do support other nonprofits by paying them for donated goods. Of course, by reselling second-hand items, like other thrift stores, they are keeping items out of the landfills and contributing to recycling efforts. The Arizona Humane Society Thrift Store uses 100 percent of the proceeds to benefit homeless animals in the state. Locations in North Phoenix and Mesa. Check online for sale days.